How to make a vegan diet healthy for children, according to a dietician. 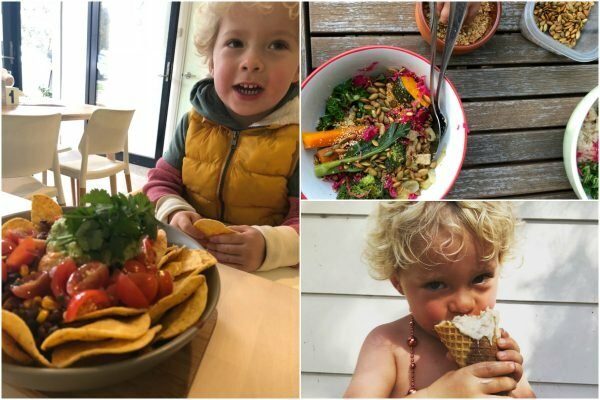 What a mum and a dietitian want you to know about raising vegan kids. Bianca Millar knows how people tend to react when she says her family is vegan. She’s seen the scrunched-up faces, the eye rolls and, yes, the internet comments that tend to follow the word. 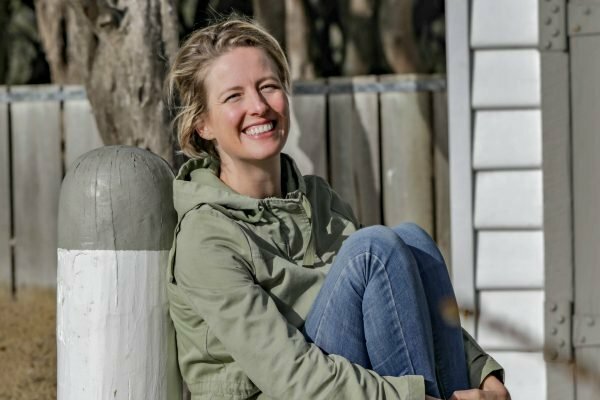 But the mother of two from Victoria’s Mornington Peninsula isn’t fazed. Before she adopted the diet three years ago, she didn’t quite get it either: “I would have laughed at the thought of becoming vegan,” she said. Then her mother, who she describes as “conservative” and an “even less likely” vegan, switched to a plant-based diet in 2016 as a last-ditch attempt to alleviate her rheumatoid arthritis, and she seemed to have relief. Around the same time, Bianca was advised by a health professional to try eliminating dairy to assess whether it was triggering her eczema. Her symptoms also seemed to ease. 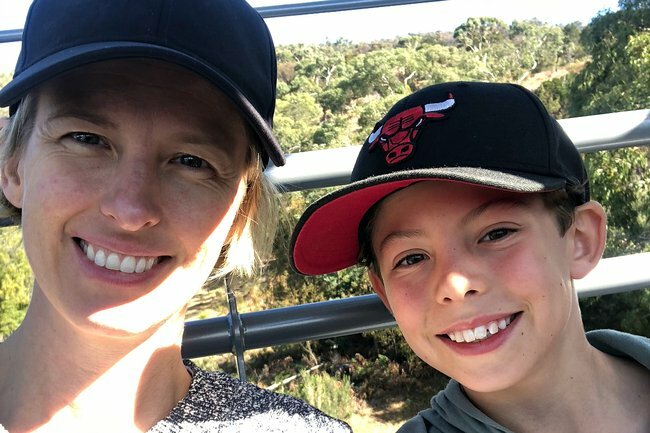 “After mum’s results, I just researched and researched and just transitioned [to a vegan diet] really over time,” she said. The switch was easy for her little one – he was only just getting into solids. And her son, then eight, was happy enough to follow suit after some open discussion. “Even prior to all of this he was aware of healthy eating, because it’s something we’ve always been into,” she said. Australia is one of the fastest-growing vegan markets in the world behind the United Arab Emirates and China. Data from Euromonitor International has valued Australia&apos;s packaged vegan food market alone at $136 million, and predicts it could reach $215 million by 2020. Accredited dietitian Nicole Dynan, founder of The Good Nutrition Co., is seeing more and more people - children included - looking to transition to a vegan diet. "When I started practising it was all female millennials and young women that were interested in it. But now it&apos;s literally across the board," she said. "I&apos;ve even had a baby - I think she was 18 months - brought in by her dads who wanted her to be vegan because they were. So we worked on a plan to do that in a healthy way." Plan being the operative word. The Australian Dietary Guidelines say that &apos;appropriately planned vegetarian diets, including total vegetarian or vegan diets, are healthy and nutritionally adequate&apos;. In fact, balanced, plant-based diets have been linked to reduced rates of heart disease and certain cancers. But when not properly planned, there can be drawbacks. Especially for children. "When it comes to children, they are a little bit more at risk." Certain essential nutrients, for example, can be lacking, including: protein, zinc, iron, calcium, Omega 3, and especially B12, which is a vitamin found only in meat and dairy. And, as Nicole said, vegan diets can still include lots of processed food (Oreos, Pringles, Coco Pops and Roll Ups, for example, are vegan). "When it comes to children, they are a little bit more at risk [of deficiencies] just because they have smaller tummies," Nicole said. "A vegan diet or a vegetarian diet can be a lot higher in fibre. So if the child is eating a lot of wholegrain foods and things like that, it can really fill them up, and then they may not get their energy requirements from other foods that they need for growth and development." When parents enforce a vegan diet without planning, the consequences can be significant. A lack of calcium, for example, can compromise healthy bone development, while a lack of Vitamin B12 can impact the nervous system. Bianca&apos;s family follow a well-planned vegan diet. Image: Supplied. Bianca has sought medical advice and done extensive research to ensure her children get proper nutrition from their food. Meal times in her household are carefully plotted and balanced. There&apos;s minimal processed food, daily dark leafy greens for iron, and chia and flaxseed meal for Omegas, and they all take B12 supplements whenever necessary. On the menu could be anything from lentil bolognese, to top-your-own potatoes. Overnight oats are popular for brekkie and coconut milk ice-cream is the go-to treat. While a plant-based diet has always been mostly about health for Bianca, she says she&apos;s come to appreciate other benefits, and sees veganism as more of a lifestyle than a diet. She&apos;s even opened an online store called A Good Scout, which sells vegan, eco-friendly gifts. "We&apos;ve lowered our carbon footprint. And you know even the animal welfare aspect has become important to us," she said. "I think our society tries to make us just consume blindly. And so it&apos;s nice to think that these kids are actually growing up with a little bit more of an awareness of that. "Another thing to point out is it&apos;s actually cheaper. Because meat and dairy and processed things can be quite expensive. So we&apos;ve definitely reduced our grocery bill by at least $50 a week for a family of three." So far, her children have managed to avoid the obvious drawback of a vegan lifestyle: the stigma. 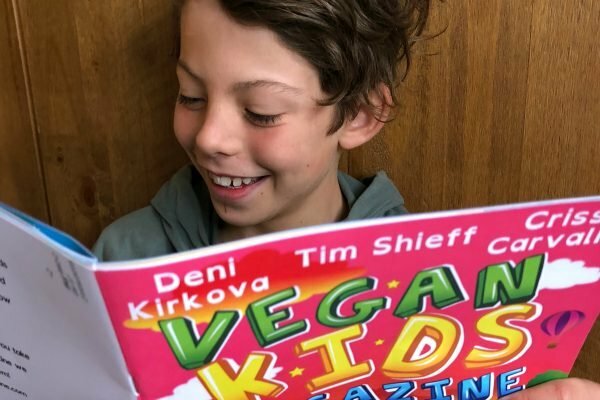 Her eldest, now 10, is the only vegan at his school, but Bianca said most parents are understanding ("there&apos;s nearly always an option at parties - fruit or chips") and most children are just curious. "Vegans haven&apos;t always given themselves the best name. But that&apos;s why I say to my son, &apos;It&apos;s really important that you don&apos;t preach too much or be judgemental,&apos;" she said. "If they&apos;re interested, let them come to you." Bianca is also prepared for her son to reassess being vegan when he&apos;s older - "it&apos;s his decision" - but she doubts he will. "He&apos;s pretty passionate about the cause. You know how kids at that age get," she laughed. "[This winter] he went on a ski trip with school. And [the other kids] were all talking about having hot chocolates. And I just said, &apos;Just have one. You know, if you get there and everyone&apos;s having hot chocolate then go for it.&apos; He just looked at me and said, &apos;Mum! What kind of a vegan would I be?&apos;"
Nicole Dynan&apos;s advice for planning a vegan diet. 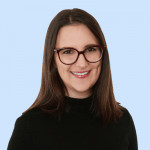 Nicole recommends parents consult a health professional prior to switching themselves and their children to a vegan diet, with follow-up appointments - including blood tests - every 12 months to ensure nutritional needs are being met. Include at least three serves of legumes each day. These could include scrambled tofu, bean burrito bowls, hummus dips or wraps, vegetarian burgers and soy milk. Eat good sources of Vitamin C with meals and snacks to boost iron absorption. These could include citrus fruit, tomatoes, capsicum, strawberries and green leafy vegetables. Include sources of calcium in meals. Calcium-rich foods can be found in all vegan food groups such as fortified rice, almond or soy milks and yoghurt; tofu and tempeh; green leafy vegetables such as kale and bok choy; and other plant foods such as Lebanese cucumbers, broccoli, oranges and dried figs. Include a daily serve of healthy fats such as one teaspoon of flaxseed oil or olive oil, 30g or ¼ cup of nuts &/or seeds or ¼ avocado. Choose foods that enhance iron and zinc absorption. Phytates (antioxidants) in grains, legumes, nuts and seeds can slow the absorption of minerals in foods. Choosing wholegrain breads made with yeast or sourdough, toasted nuts and seeds and sprouted grains and legumes can help ensure good absorption of iron and zinc. Take supplements where needed. Vitamin B12 is only found in animal products but can be obtained through some fortified plant-based foods. Other nutrients that may require supplementation if dietary planning is inadequate include iodine, vitamin D, Omega-3, iron and zinc. For more from Nicole follow @the.guthealthdietitian on Instagram and visit her website. For more from Bianca visit the A Good Scout website.